It was the year 2000, and it was the capital of the self-proclaimed Land of the Free. Our group leader gathered the gaggle of teenage travellers around her, put down a city map and drew a fat red line all the way across it. "Listen up", she said. "Do not venture north of this line. Not ever. It's a no-go area. Understood?" Since then, similar red lines have been drawn for me in too many cities, from Buenos Aires to Detroit and from New York to Rio. Never, though, in Montréal. It wasn't until a recent quality-of-living study that I became conscious of the fact that there aren't really any "no-go areas" in my adopted home city. And that this is probably the exception rather than the rule in North America. Yes, there may be a few neighborhoods where you'd feel out of place walking in the middle of the night. And there are definitely areas that just feel inherently hostile to pedestrians at any time of day, with roaring traffic, abandoned sidewalks and bland warehouses lining the roads for miles kilometers. But even there, the biggest threat is likely to be run over by a distracted driver not expecting anyone on foot. 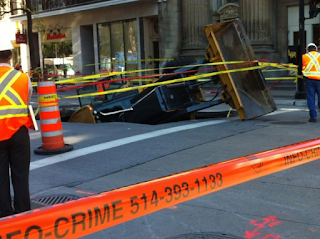 The kind of random violence that mars many other big cities is rare in Montréal. CTV has put together a homicide map, which is remarkable not just for its relatively low number of occurrences (26, plus 7 people killed by police in 2016) but also its even distribution over the entire island. There are no "bad places". Unfortunately, the map doesn't specify each murder's circumstances, but I can't recall any media coverage on random shootings or violent assaults on strangers. It would seem that even Canadian pickpockets - of which there are plenty - are essentially gentle. All of this serves to illustrate an important aspect of quality of life: The freedom from fear for one's life. Too many urbanites on this planet do not have this luxury, and those who do, including this blogger, often don't value it enough. Canada may not call itself the Land of the Free, but it would arguably have a better claim to it. With this in mind, I stroll through the city with newfound appreciation for its safety. 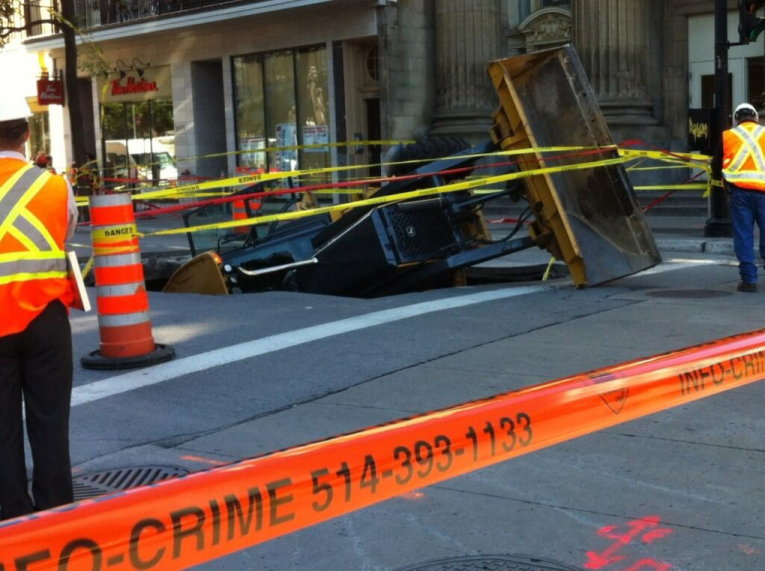 Which leaves me free to worry about the true dangers of Montréal roads: Collapsing tunnels, crumbling bridges and man-eating potholes!